In previous studies on coordinating exploration-exploitation activities, much attention has been paid on network structures while the roles played by actors’ strategic behavior have been largely ignored. In this paper, the authors extend March’s simulation model on parallel problem solving by adding structurally equivalent imitation. In this way, one can examine how the interaction of network structure with agent behavior affects the knowledge process and finally influence group performance. This simulation experiment suggests that under the condition of regular network, the classical trade-off between exploration and exploitation will appear in the case of the preferentially attached network when agents adopt structure equivalence imitation. The whole organization implicitly would be divided into independent sub-groups that converge on different performance level and lead the organization to a lower performance level. The authors also explored the performance in the mixed organization and the management implication. Since March’s classical research, the terms “exploration” and “exploitation” have increasingly come to dominate organizational studies of organization design, organizational adaptation, organizational learning, competitive and so on (Gupta et al., 2006). The central thesis of James March’s “Exploration and Exploitation in Organizational Learning” is that “maintaining an appropriate balance between exploration and exploitation is a primary factor in system survival and prosperity” (March, 1991). While the importance of pursuing both exploration and exploitation has been highlighted, much more remains to be understood about how organization coordinates the development of exploratory and exploitative activities (Jansen et al., 2006; He & Wong, 2004). In this direction, prior researchers have paid much attention on the network structure variables. As in March’ paper, the advice network among organization members is implicitly assumed to be a hub-like structure which is represented by the organization code. March use organization code to control the relative rates of exploration and exploitation (March, 1991). Miller et al. (2006) extended March’s model by adding an interpersonal learning which replaces the mediation of an organizational code, and in their extending model fixed grid is represented as the interpersonal communication structure (Miller et al., 2006). David decentralized the organization code and extended the hub and fixed grid network structure to more general case under the context of the parallel problem solving (Lazer & Friedman, 2007). Four archetypical networks including linear network, totally connected network, random networks, and smallworld networks are examined in their simulations experiment. 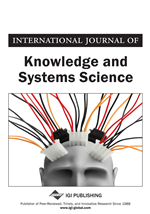 Besides simulation studies much empirical research has also been devoted on the research of network structure: Jansen et al examined how formal and informal organizational structure coordinates the development of exploratory and exploitative innovation in organizational unites (Jansen et al., 2006); Mason et al. (2008) examined how different network structures affect the propagation of information in laboratory-created groups. Different types of networks were compared on speed of discovery and convergence on the optimal solution in Mason’s research (Mason et al., 2008). All the former research came to the very similar conclusion in terms of the relationship between network and organization performance. That is, dense network would drive out the personal heterogeneity, which results in lower long-run performance but higher short-run performance; sparse network, in contrast, keeps the personal heterogeneity, which leads to lower short-run performance but higher long-run performance. These studies suggest that there is an invert-U relationship between network density and organization performance. The studies mentioned above have employed the traditional ‘structuralist’ perspective which advocates that the types of resources that can be acquired from a network depend on the structure of network relations (Adler & Kwon, 2002). According to the different definition on social capital, there is still controversy over the optimal structure of that over the relative benefits of brokerage network and cohesive network structure. The former refers to a particular network which occupies the sole intermediate position between others who are disconnected and can interact only through the broker; the latter refers to the situation in which all the members are connected each other. Proponents of brokerage argue for the benefits of unique information which is the valuable resource of innovation; proponents of cohesive network argue for the benefits of efficient information diffusion and normal trust which promotes cooperation (Coleman, 1988; Burt, 2004).